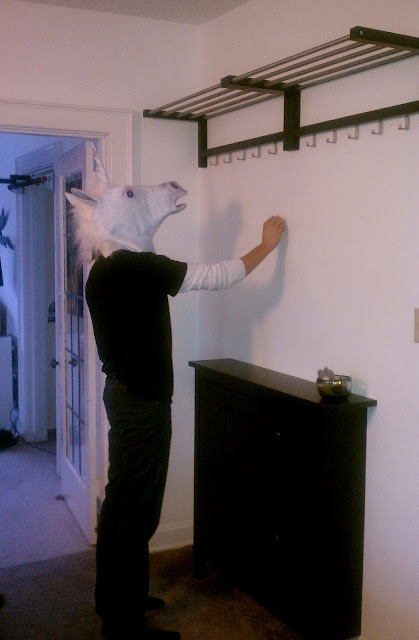 A special guest came over last weekend and helped me hang our new coat racks*. *Those are IKEA Tjusig coat racks and a Hemnes shoe cabinet. Love them both! Yeah so I know this was posted a few days ago and of course I read it right away but I walked away from it quite speechless/commentless... apparently I still am. I got nothing except Wow?